If you really think about it, your knees are very important when it comes to combat. For example, if you take out a warriors knees, they are bound to crumple to the ground. 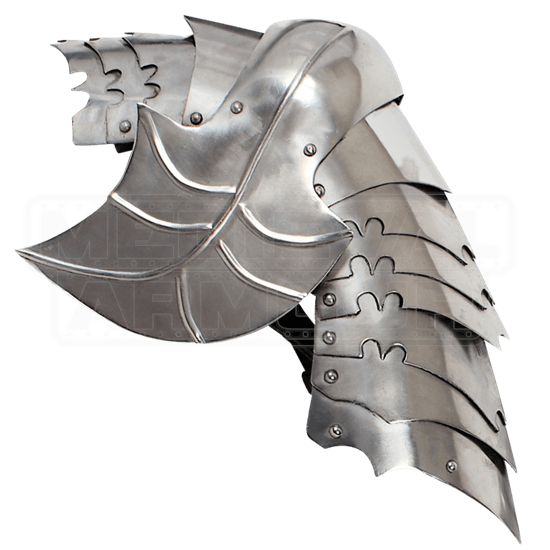 That is why this Fantasy Leg Armour is integral to any warriors armoured attire. These distinctive pieces of leg armour will help prevent that from happening by providing a significant level of protection to your knees and upper legs, and, best of all, they will do so without overly restricting your mobility. 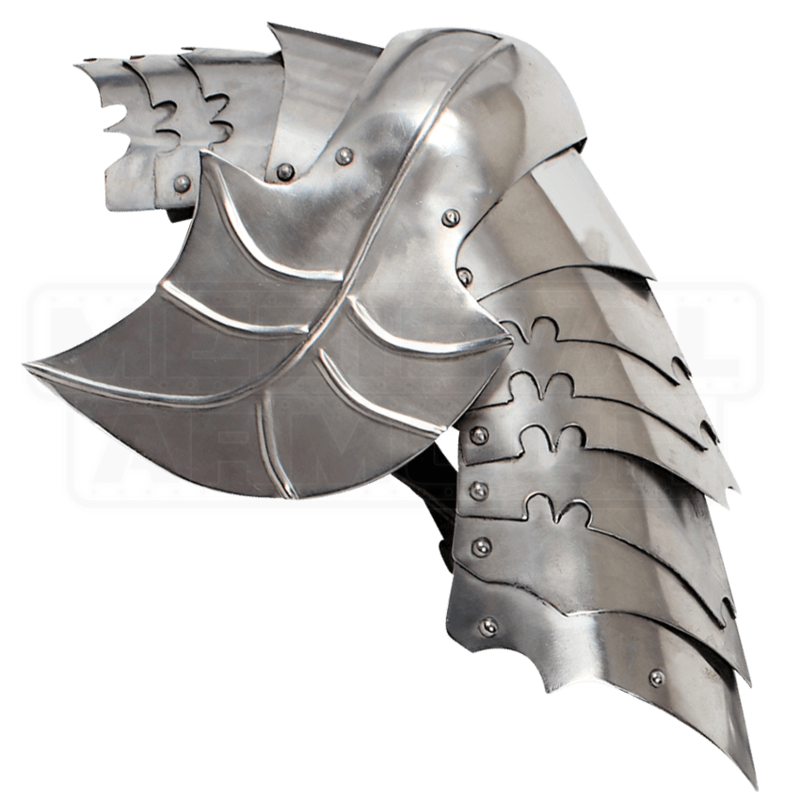 Crafted entirely from 16 gauge steel, these pieces of leg armour each consist of 12 interlocking plates that are fully articulated to give you a range of movement as well as superb protection. They feature fully functional poleyns as well as leaf-shaped flares on the sides to help defend your leg from both the side and front. They are designed with reenactment in mind and thus are made to be tough and strong. Suspension and adjustable straps are fitted to each leg armour, allowing it to be adjusted and worn by many different sizes of warrior. This leg armor is offered as a matched set, one for each leg. When you head into battle, make sure you have on this Fantasy Leg Armour, and you will not regret it, especially when something catches your knee, and you can just shrug it off thanks to the metal plating you are wearing.